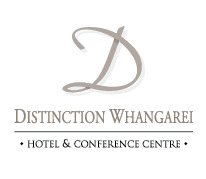 Distinction Whangarei Hotel & Conference Centre offers guests a range of recreation & leisure facilities including an indoor, heated swimming pool, spa and access to a fitness room. Perfect for business travellers wanting to unwind after a busy day, families wanting to keep the kids entertained or for those wanting to work off last night's indulgent chocolate panna cotta! Alternatively the award winning Whangarei Aquatic Centre is located less than 50 metres from our Whangarei hotel (charges apply).